Human Hematopoietic Stem Cells (HHSC) from Bone Marrow (HHSC-BM) or Liver (HHSC-L) contain CD34+ progenitor cells that differentiate into all the various blood cell types. 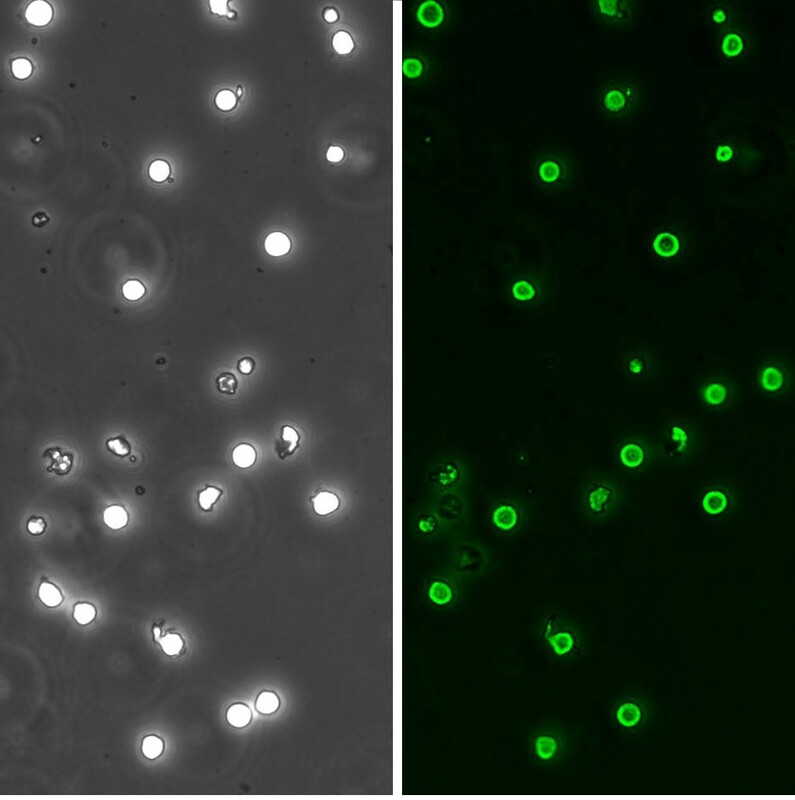 CD34 is a glycosylated transmembrane protein and represents a marker for blood and bone marrow-derived progenitor cells, especially for hematopoietic stem cells. Recent data suggest that CD34 is involved in maintenance of the progenitor cells in a phenotypically undifferentiated state. Cell Applications Inc. offers these CD34+ progenitor from the bone marrow mononuclear cells of healthy donors. HHSC are suitable for multiple avenues of research, and for directed differentiation into more committed blood cell types. In addition to our standard cryopreserved formats, fresh HHSC from bone marrow are offered in various packaging sizes. These freshly-isolated, non-frozen cells require a minimum order of ten vials per donor. Please contact Cell Applications for information on sizes and pricing for fresh cells.